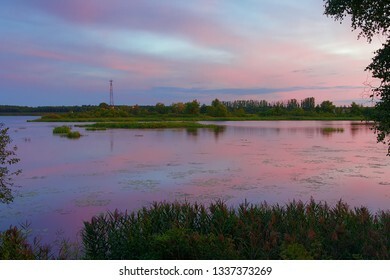 5,071 stock photos, vectors, and illustrations are available royalty-free. 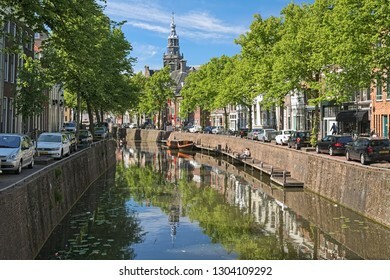 GOUDA, NETHERLANDS - MAY 24, 2015: View on the tower of Sint Janskerk (St John the Baptist Church) from the Nood-Godsbrug bridge across the Gouwe river in sunny day. 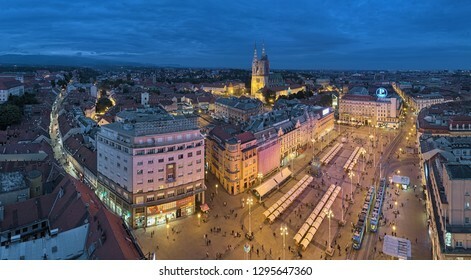 ZAGREB, CROATIA - OCTOBER 7, 2018: Panoramic view of the historical part of the city with Zagreb Cathedral at the Upper Town and Ban Jelacic Square at the Lower Town in dusk. 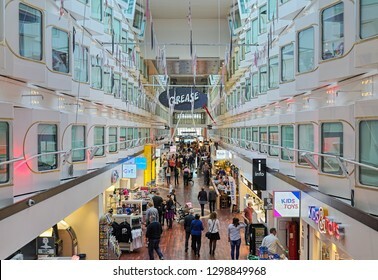 BALTIC SEA, FINLAND - APRIL 2, 2016: Centerline promenade of cruiseferry MS Silja Symphony. The ship was built in 1991 and modernized in 1996, 2006 and 2014. 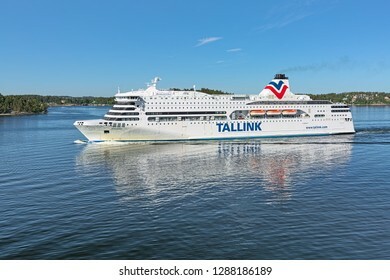 She operates on Helsinki-Stockholm route. 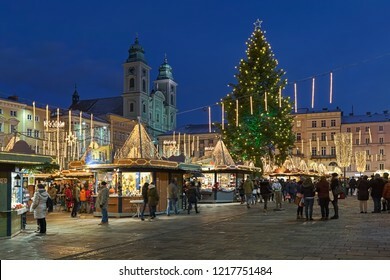 LINZ, AUSTRIA - DECEMBER 9, 2017: The city's main Christmas market at the baroque Hauptplatz (Main Square) in dusk. It is known as a market of handicrafts, artisans and artists. 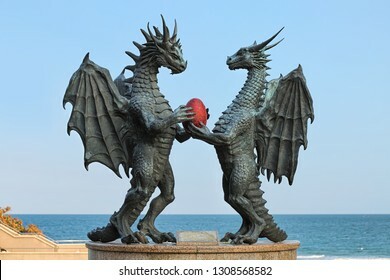 VARNA, BULGARIA - OCTOBER 4, 2017: Dragons in Love sculpture in the city's Sea Garden at the coast of Black Sea. The sculpture by artist Darin Lazarov was erected in October 2010. 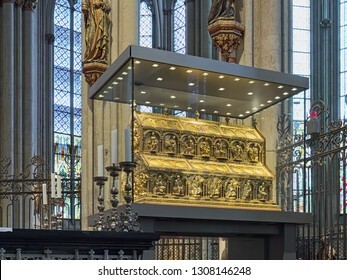 COLOGNE, GERMANY - DECEMBER 10, 2018: Shrine of the Three Kings (Tomb of the Three Magi) in Cologne Cathedral. 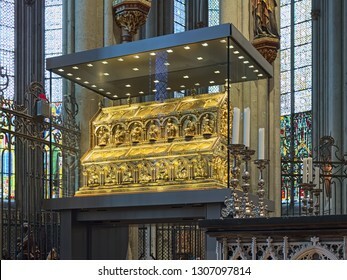 The shrine were designed by Nicholas of Verdun, who began work on it in 1180 or 1181. 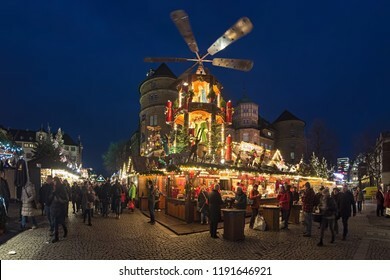 STUTTGART, GERMANY - DECEMBER 14, 2017: Christmas market with Christmas pyramid close to Altes Schloss (Old Castle) in dusk. 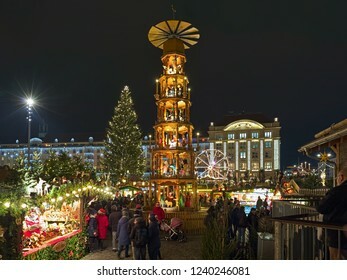 The Christmas pyramid is a kind of carousel demonstrating nativity scenes. Prague, Czech Republic. 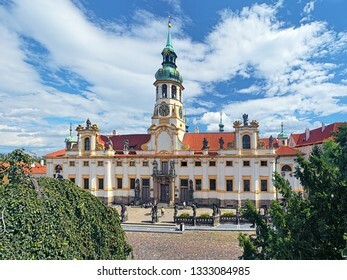 Loreta, a pilgrimage destination in Hradcany district. 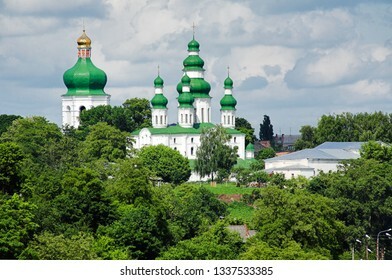 The complex of buildings consists of a cloister, church of the Nativity and clock tower with chime. 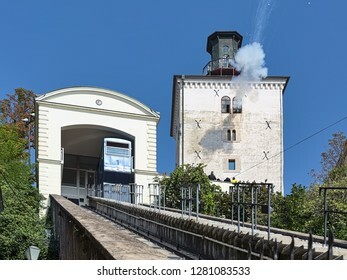 ZAGREB, CROATIA - OCTOBER 10, 2018: Daily cannon shot at noon from the Lotrscak tower. The tower dates to the 13th century. The cannon is fired from the tower to mark midday since January 1, 1877. 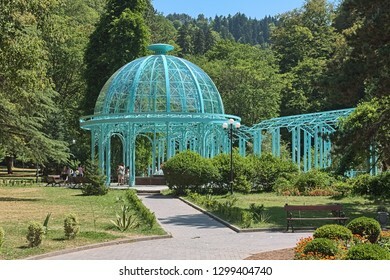 BORJOMI, GEORGIA - AUGUST 14, 2014: Pavilion above the Yekaterininskiy Spring of mineral water in Central Park. 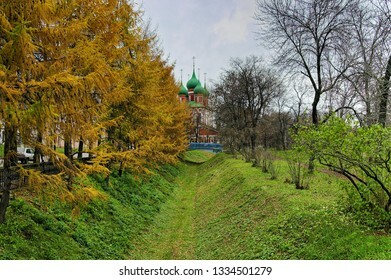 The spring was named in 1841 by Yevgeni Golovin, viceroy of Russian Tsar in Caucasus. VADSTENA, SWEDEN - AUGUST 25, 2013: Vadstena Castle. 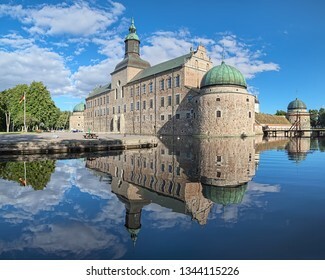 The main castle building reflects in the water of moat. 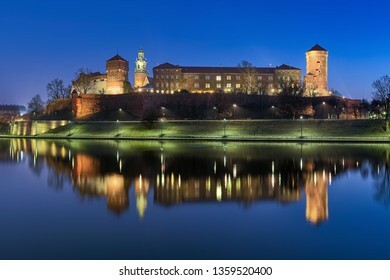 Construction of the castle was started in 1545. 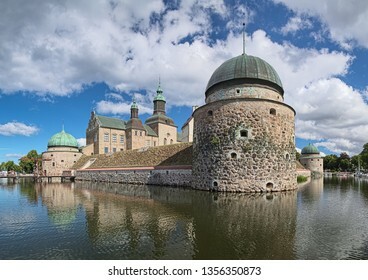 The castle was completed in 1620. 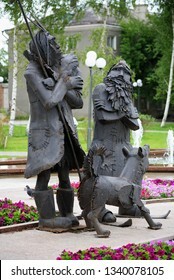 TOBOLSK, RUSSIA - JULY 30, 2008: Monument to Robinson Crusoe, Friday and dog Laika. The monument to the heroes of the novels by Daniel Defoe was unveiled in 2007. 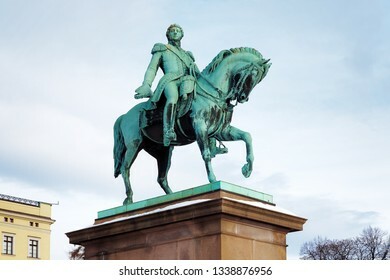 Equestrian statue of King Carl XIV Johan in Oslo, Norway. The statue was erected in 1875. 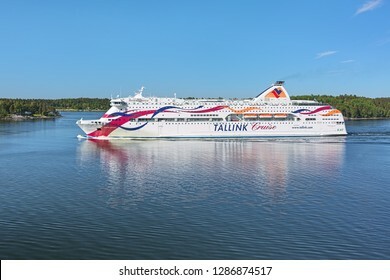 STOCKHOLM ARCHIPELAGO, SWEDEN - JUNE 1, 2018: Cruiseferry MS Romantika of Tallink company goes along the Stegesund-Hastholmen and Skarpo islands. 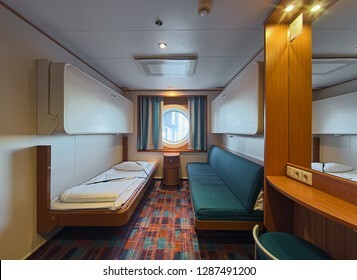 The ship was built in 2002 by Aker Finnyards, Rauma. 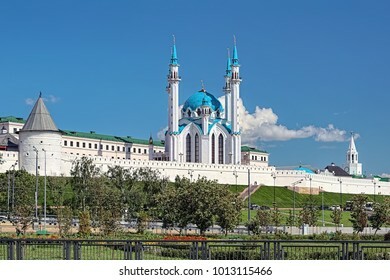 Yekaterinburg, Russia. 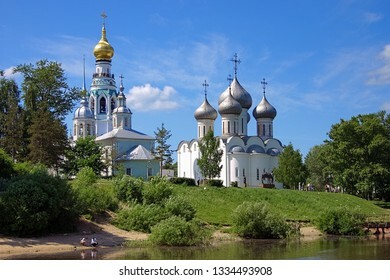 Church on Blood in Honour of All Saints Resplendent in the Russian Land, and Patriarchal Metochion. The buildings of Yekaterinburg-City district are visible in the background. 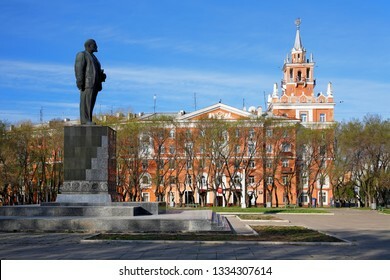 KOMSOMOLSK-ON-AMUR, RUSSIA - MAY 22, 2011: Lenin Monument and the Building with Spire. The monument was unveiled in 1957. The building was built in 1956; it is the unofficial symbol of the city. 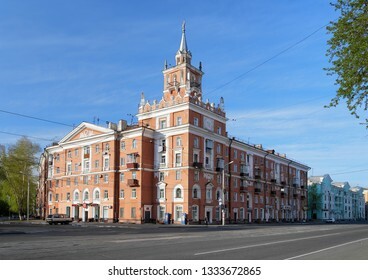 KOMSOMOLSK-ON-AMUR, RUSSIA - MAY 22, 2011: The Building with Spire. 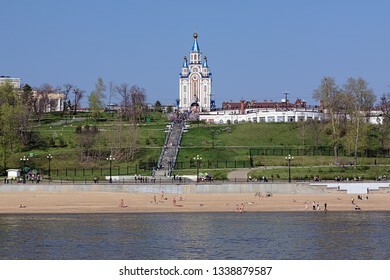 The building was constructed in 1956 and it is the unofficial symbol of Komsomolsk-on-Amur. 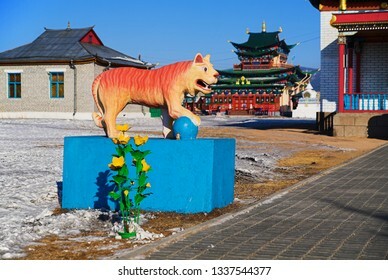 ULAN-UDE, RUSSIA - MARCH 7, 2010: Devazhin dugan (buddhist temple) at Khambyn Khure datsan (buddhist monastery) in Verkhnaya Beryozovka district of Ulan-Ude, Buryatia. 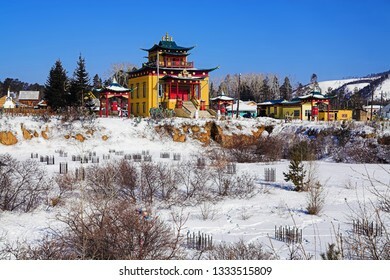 The datsan was founded in 1994. 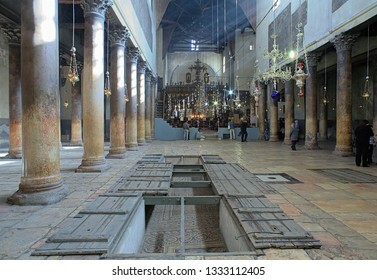 BETHLEHEM, ISRAEL - JANUARY 11, 2009: Interior of Church of the Nativity. The church was commissioned in 327 AD over the cave that marks the birthplace of Jesus. 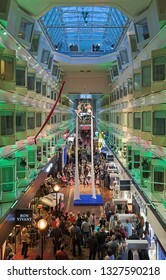 BALTIC SEA, SWEDEN - APRIL 3, 2016: Aerialist show at the centerline promenade of the cruiseferry MS Silja Symphony of Tallink shipping company during the cruise from Stockholm to Helsinki. Mantis on a stone. Shallow depth of field. 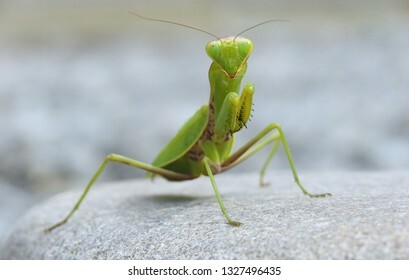 Selective focus on the head of mantis. 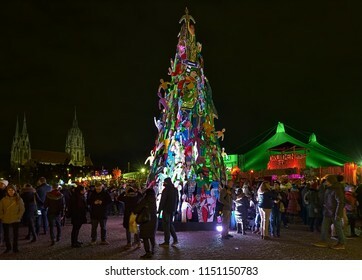 DRESDEN, GERMANY - DECEMBER 6, 2017: Christmas pyramid at Striezelmarkt in night. 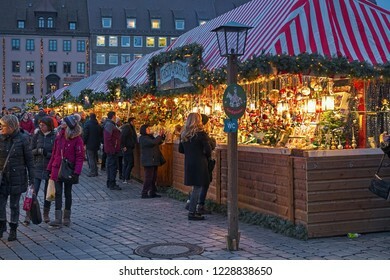 The Striezelmarkt is the one of Germany's oldest documented Christmas markets. 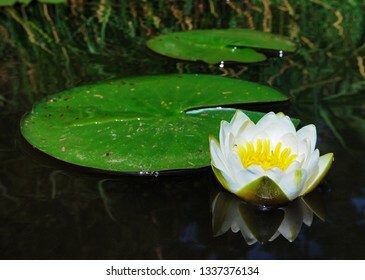 It was first mentioned in 1434. PRAGUE, CZECH REPUBLIC - JUNE 8, 2010: Vysehrad Cemetery and Basilica of St. Peter and St. Paul. 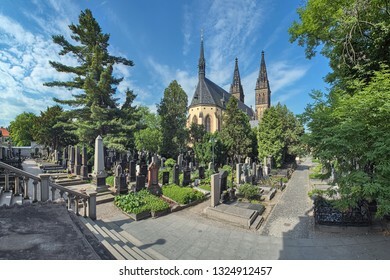 The Cemetery is the final resting place of more then 600 figures of the Czech culture. Prague, Czech Republic. 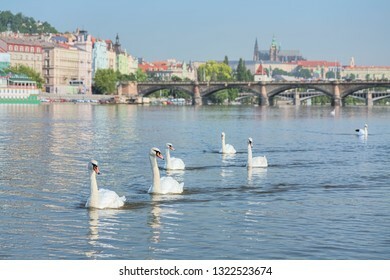 Swans on Vltava river, and Prague Castle with St. Vitus Cathedral in the background in summer sunny day. Shallow depth of field with focus on the swans. STOCKHOLM, SWEDEN - APRIL 3, 2016: Sea God (Sjoguden) sculpture on the Skeppsbrokajen quay. 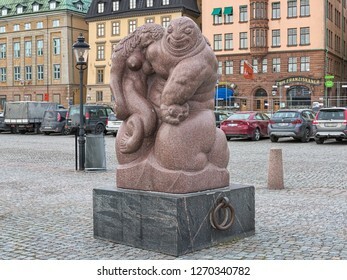 The sculpture by the world famous Swedish sculptor Carl Milles was created in 1913 and erected in 1930. PRAGUE, CZECH REPUBLIC - JUNE 9, 2010: Church of the Most Sacred Heart of Our Lord in Vinohrady district. 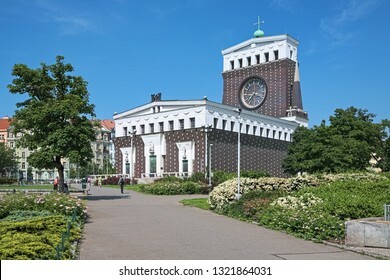 The church was built in 1928-1932 by design of the Slovene architect Joze Plecnik. 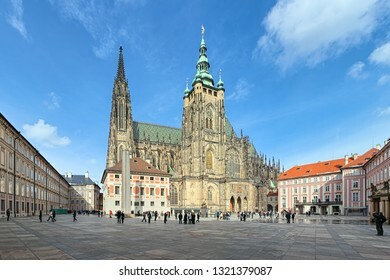 St. Vitus Cathedral in Prague, Czech Republic. Panoramic view from the courtyard to the south facade. MUNICH, GERMANY - DECEMBER 15, 2017: Christmas Village in the Emperor's Court (Kaiserhof) of the Munich Residenz in twilight. In this Christmas market is re-created a real Christmas alpine village. 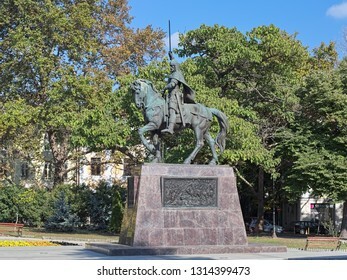 VARNA, BULGARIA - OCTOBER 3, 2017: Monument to Tsar Kaloyan, Emperor of the Bulgarians and Vlachs in 1196-1207. The monument was unveiled in 2007 to commemorate the 800th anniversary of tsar's death. 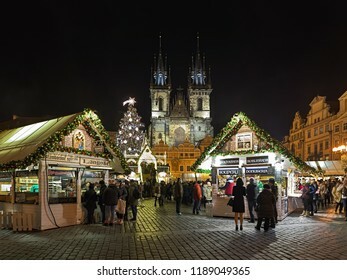 PRAGUE, CZECH REPUBLIC - DECEMBER 7, 2017: Christmas market at the Old Town Square with the city's main Christmas tree in night. The Gothic church of Our Lady before Tyn is located on the background. 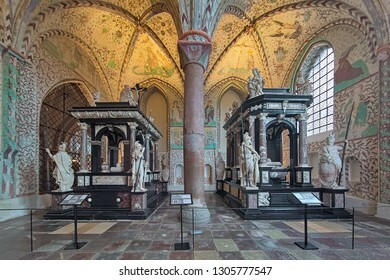 ROSKILDE, DENMARK - DECEMBER 14, 2015: Interior of Chapel of the Magi (or Christian I's Chapel) in Roskilde Cathedral with sepulchral monuments of the Danish kings Christian III and Frederick II. 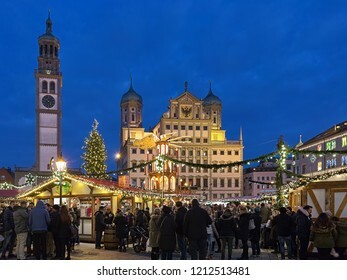 AUGSBURG, GERMANY - DECEMBER 16, 2017: Augsburger Christkindlesmarkt, the Christmas market at Rathausplatz (Town Hall Square) in front of Town Hall and Perlachturm Tower in twilight. 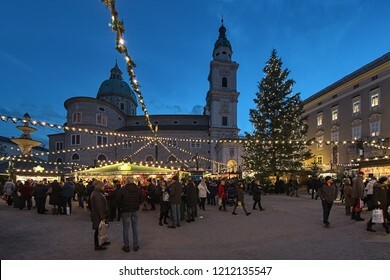 SALZBURG, AUSTRIA - DECEMBER 11, 2017: Christmas market at Residenzplatz square close to Salzburg Cathedral in twilight. The origins of the Salzburg Christmas market go back to the late 15th century. 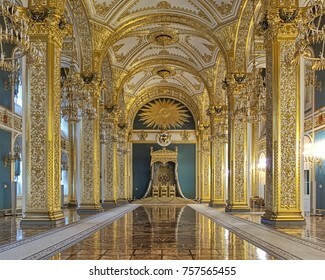 MOSCOW, RUSSIA - SEPTEMBER 15, 2017: The Hall of the Order of St. Alexander Nevsky in the Grand Kremlin Palace. Panoramic view of the interior. 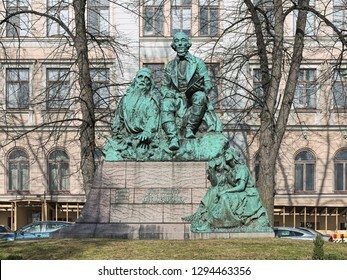 HELSINKI, FINLAND - APRIL 4, 2016: Monument to Finnish philologist Elias Lonnrot, best known for creating the Finnish national epic, Kalevala, Monument by sculptor Emil Wikstrom was unveiled in 1902. 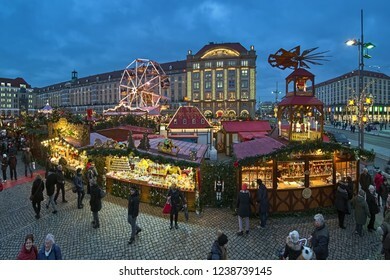 DRESDEN, GERMANY - DECEMBER 6, 2017: Striezelmarkt - one of Germany's oldest documented Christmas markets. 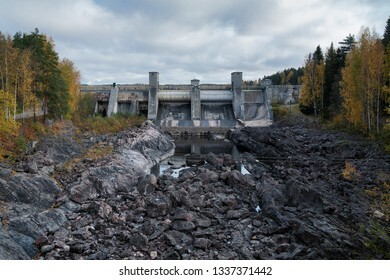 This market event was first mentioned in 1434. 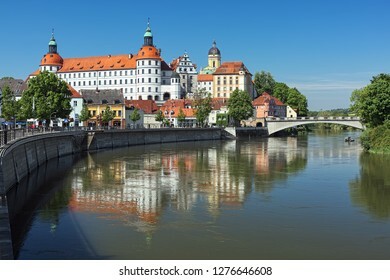 Ceske Budejovice, Czech Republic. 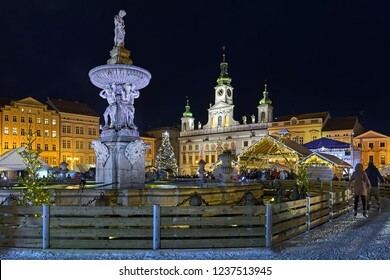 Christmas market at the Premysl Otakar II Square with ice-skate rink around the Samson fountain in night. The Town Hall is visible in the background. Temple Neuf (New Temple), a Protestant city church in Metz, France. View from a bridge across the Moselle river. The church was built in 1901-1904 by design of the German architect Conrad Wahn. 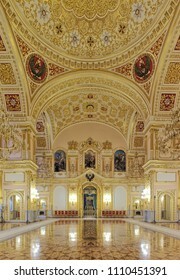 MOSCOW, RUSSIA - SEPTEMBER 15, 2017: The Hall of Order of St. Andrew in Grand Kremlin Palace. 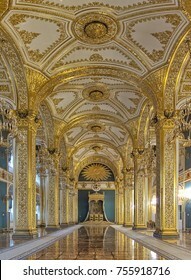 The hall was built in 1838-1849 jointly with the palace, destroyed in 1932-1934 and restored in 1994-1998. 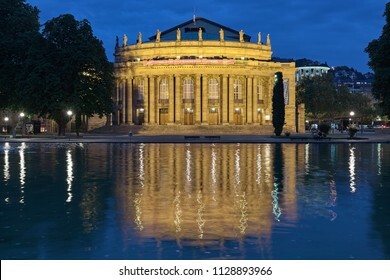 STUTTGART, GERMANY - MAY 20, 2018: Opera House of Stuttgart State Theater in dusk. The Opera House, formerly known as the Grosses Haus, was designed by architect Max Littmann and built in 1909-1912. 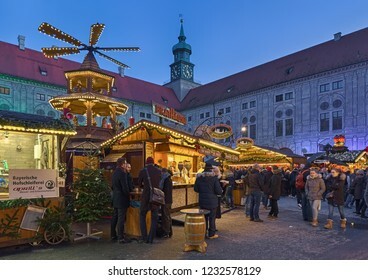 NUREMBERG, GERMANY - DECEMBER 13, 2017: Market stalls with Christmas decorations at the Christkindlesmarkt Christmas market on the Hauptmarkt platz (Main Market Square) in the evening. 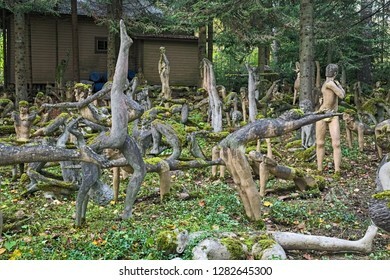 PARIKKALA, FINLAND - OCTOBER 9, 2011: Yoga garden in the sculpture park (Parikkalan patsaspuisto) by ITE-artist Veijo Ronkkonen. The park contains about 560 concrete statues and a magnificent garden. 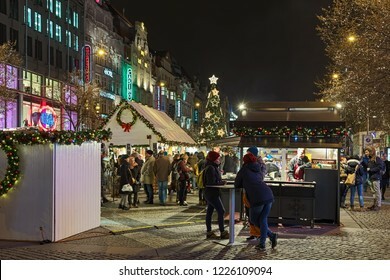 PRAGUE, CZECH REPUBLIC - DECEMBER 5, 2017: Christmas market at the Wenceslas Square in night. The market offers the variety of food and beverages. 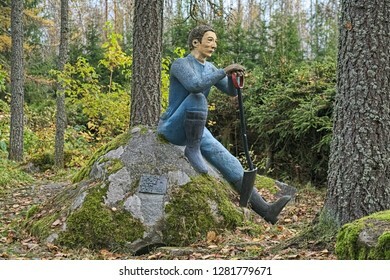 PARIKKALA, FINLAND - OCTOBER 9, 2011: Sculpture of a sitting man with shovel by ITE-artist Veijo Ronkkonen (1944-2010) in his sculpture park. The park contains about 560 concrete statues. Saint Petersburg, Russia. 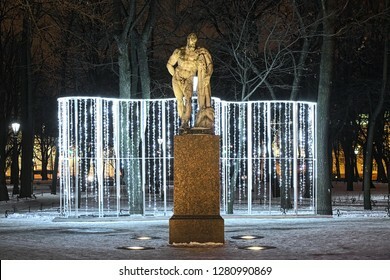 The Farnese Hercules sculpture in the Alexander Garden in winter night. The monument by sculptor Paolo Triscorni and architect Ludwig Charlemagne was erected in 1833. 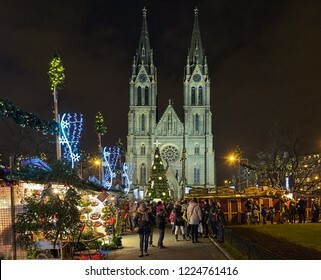 PRAGUE, CZECH REPUBLIC - DECEMBER 5, 2017: Christmas market at Namesti Miru (Peace Square) in front of St. Ludmila Church in night. 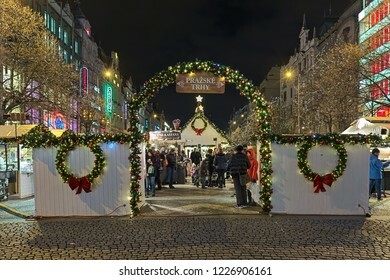 Traditionally, it is the first Christmas market of the season. 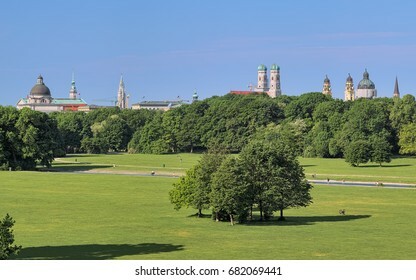 MUNICH, GERMANY - MAY 17, 2017: The Maximilianeum. 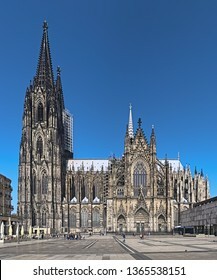 It was started in 1857 according to design of Friedrich Burklein, and completed in 1874. 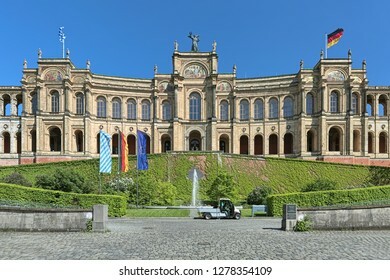 Since 1949, the Maximilianeum houses the Bavarian Landtag. 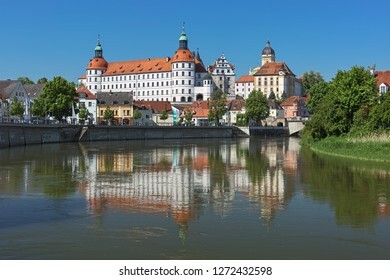 NEUBURG AN DER DONAU, GERMANY - MAY 18, 2017: Neuburg Castle, a residence of Dukes of Palatinate-Neuburg, reflected in Danube in sunny day. 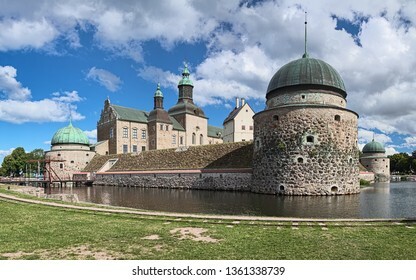 The Renaissance castle was built in 1530-1545. 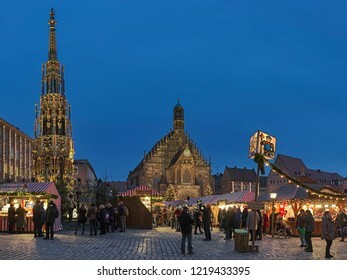 NUREMBERG, GERMANY - DECEMBER 13, 2017: Christkindlesmarkt at Hauptmarkt (Main Market Square) in dusk. 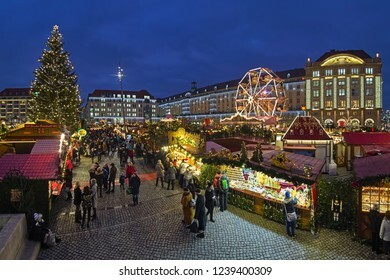 This is one of the largest Christmas markets in Germany and one of the most famous in the world. 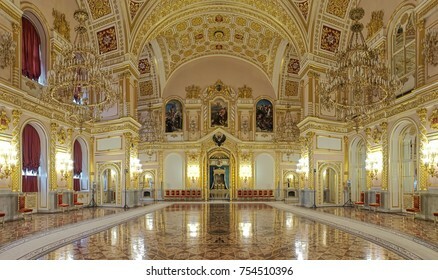 MOSCOW, RUSSIA - SEPTEMBER 15, 2017: The Hall of Order of St. Alexander Nevsky in Grand Kremlin Palace. 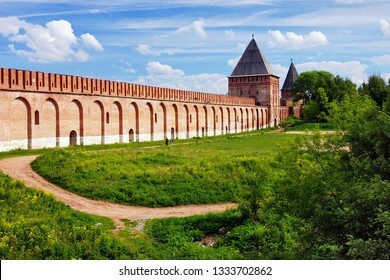 The wall paintings depict the scenes from life of Alexander Nevsky. 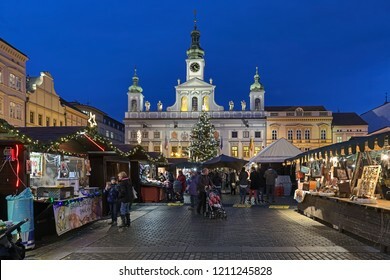 CESKE BUDEJOVICE, CZECH REPUBLIC - DECEMBER 8, 2017: Christmas market at the Premysl Otakar II Square with city's main Christmas tree on the background of the old Town Hall in twilight. 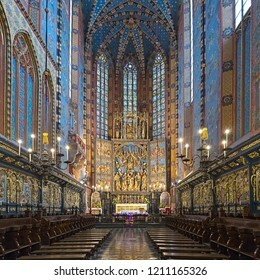 KRAKOW, POLAND - DECEMBER 15, 2016: Chancel and apse of St. Mary's Basilica with altarpiece carved between 1477 and 1484 by the German sculptor Veit Stoss (known in Polish as Wit Stwosz). 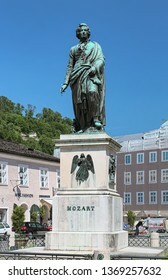 Mozart Monument at Mozartplatz in Salzburg, Austria. The monument was erected in 1842. 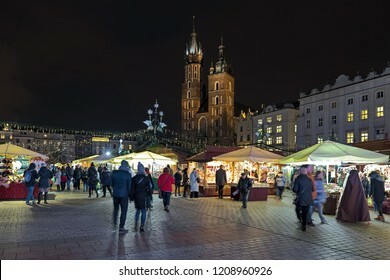 KRAKOW, POLAND - DECEMBER 15, 2016: Christmas market at the Main square (Rynek Glowny) in front of St. Mary's Basilica. The market starts in the last week of November and lasts through December 26th. 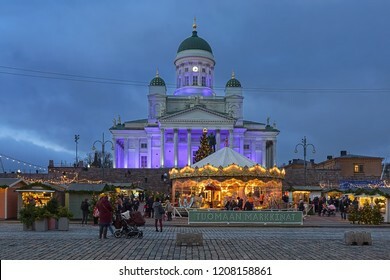 HELSINKI, FINLAND - DECEMBER 4, 2017: Christmas market at the Senate Square in front of the Helsinki Cathedral in evening, The market is the oldest and largest Christmas event in the city. 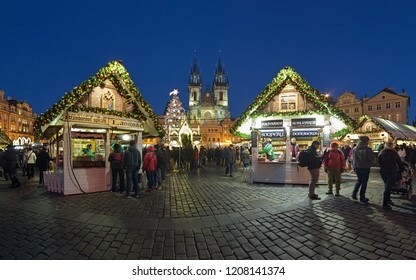 PRAGUE, CZECH REPUBLIC - DECEMBER 7, 2017: Panoramic view of the city's main Christmas market at Old Town Square in twilight. The Gothic church of Our Lady before Tyn is located on the background. 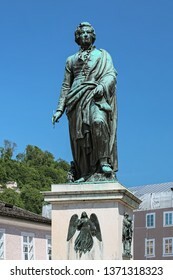 SALZBURG, AUSTRIA - MAY 22, 2017: Mozart Monument at Mozartplatz. The monument was designed by Ludwig Schwanthaler, casted in bronze by Johann Baptist Stiglmaier, and unveiled on September 5, 1842. 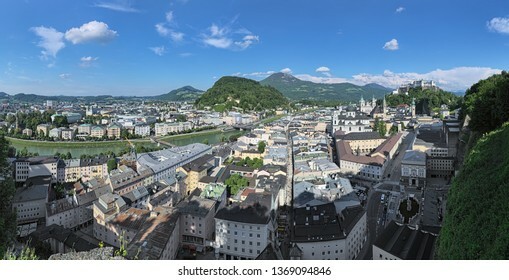 Panorama of Salzburg, Austria. View from observation point at the Monchsberg mountain. 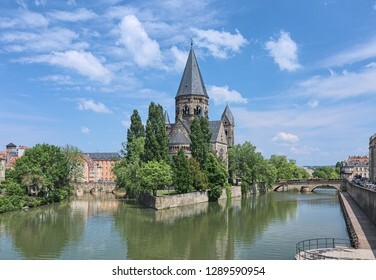 METZ, FRANCE - MAY 15, 2018: Cathedral of Saint Stephen of Metz. View from Place d'Armes on the south-east facade. The present Gothic building was built in 1220-1550 and consecrated on April 11, 1552. 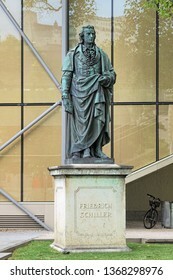 Schiller monument in Furtwanglerpark in the old town of Salzburg, Austria. The monument was unveiled in 1867. 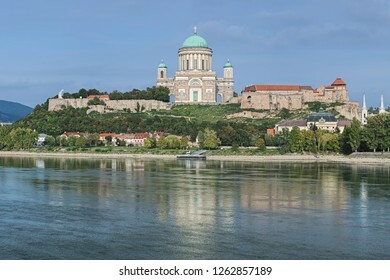 View of the Esztergom Basilica at the Castle Hill from the opposite bank of Danube, Hungary. The Latin motto on the temple frieze reads: Seek those things which are above. 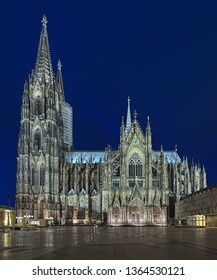 Cologne Cathedral at dusk, Germany. Construction of the Cathedral began in 1248. 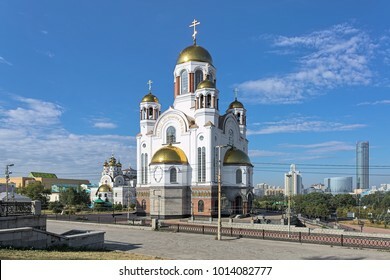 Currently it is the tallest twin-spired church at 157 m (515 ft) tall. 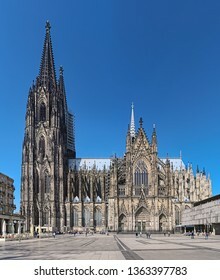 Cologne Cathedral, Germany. 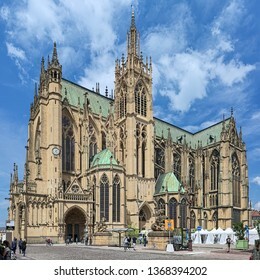 Construction of the Cathedral began in 1248. 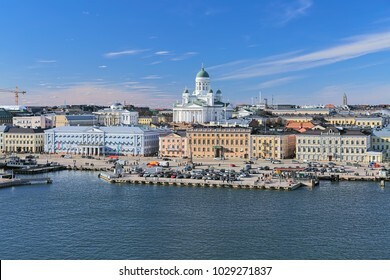 Currently it is the tallest twin-spired church at 157 m (515 ft) tall. 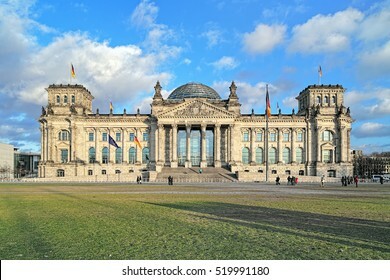 Reichstag building in Berlin, Germany. Dedication on the frieze means "To the German people". 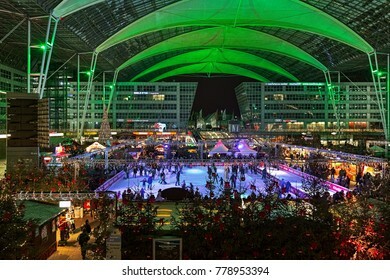 MUNICH, GERMANY - DECEMBER 17, 2017: Christmas and Winter Market with ice rink in the Munich Airport. The market is running at the Munich Airport Center Forum from 11am to 9pm through 30 December. VADSTENA, SWEDEN - AUGUST 25, 2013: Vadstena Castle. View from south-west. 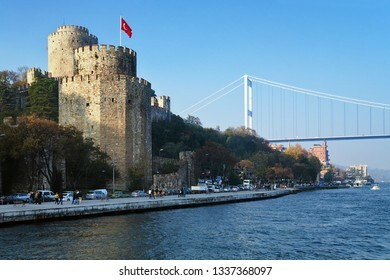 Construction of the castle was started in 1545. 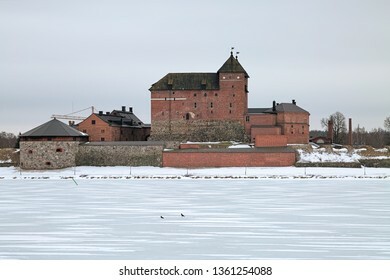 The castle was completed in 1620. 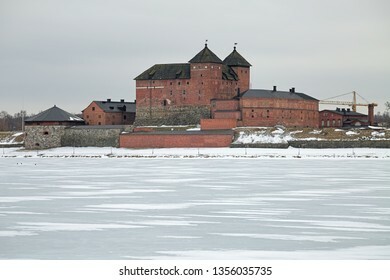 HAMEENLINNA, FINLAND - MARCH 4, 2019: Hame Castle or Tavastia Castle in winter overcast day. The castle was constructed in the 13th century. 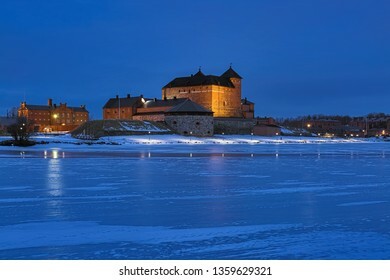 HAMEENLINNA, FINLAND - MARCH 4, 2019: Hame Castle or Tavastia Castle in winter dusk. The castle was constructed in the 13th century. KRAKOW, POLAND - DECEMBER 16, 2016: Wawel Hill with Wawel Royal Castle and fragment of Wawel Cathedral at dawn. 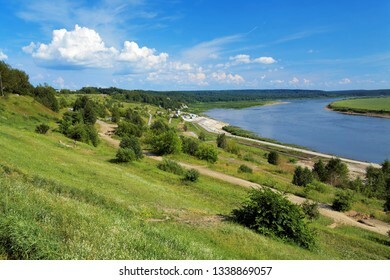 View from the bank of Vistula river. 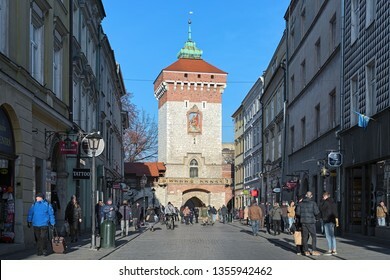 KRAKOW, POLAND - DECEMBER 16, 2016: St. Florian's Gate. 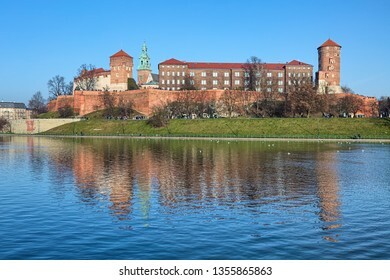 It is one of the best-known Polish Gothic towers, and a focal point of Krakow's Old Town. 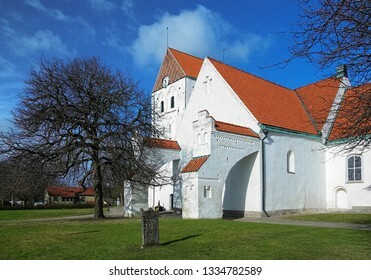 It was built about the 14th century.